Age Scotland have a simple aim, it is to help start a conversation about older people and employment in Scotland. 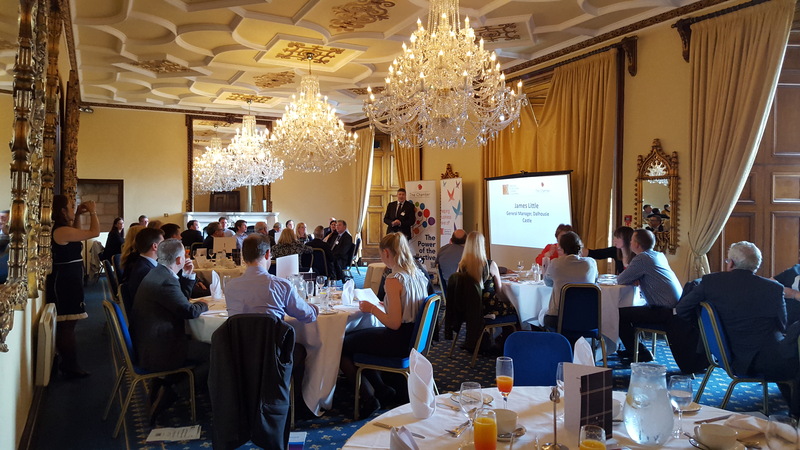 That’s what Jonathan Park, the organisation’s business development manager, told Midlothian and East Lothian Chamber at a joint lunch with Mid, East and West Lothian Chambers of Commerce. Key issues are ensuring that all line managers are trained in communicating flexible work opportunities and recruitment managers should consider unconscious bias training. Also, Age Scotland believe it is important to engage in conversations about late-life working or retirement. Introducing mid-career reviews is another important consideration according to Jonathan Park who said that employees’ needs will differ with life and career change. And, when people start thinking about retirement concerns include how they will spend an extra 40 to 50 hours a week and how will it affect relationships. Crucially, people are also worried about how they might miss the routine and structure of work and how to pay for the retirement they wish to have. And Jonathan said that, according to a survey of 4,000 organisations, only 20 per cent had some kind of age strategy agreed at board level or were developing a business case for such a strategy. He also highlighted dementia and asked guests at Dalhousie Castle in they would be able to spot it. Jonathan Park also asked if delegates had policies and procedures in place to keep them compliant with the law and best practice if an employee develops dementia. And he said: “The Alzheimer’s Society say 800,000 people in the UK have dementia and one in 14 people over 65 will develop dementia rising to one in six by 80 years old.